Laurent Demeure is the founder and CEO of Coldwell Banker France & Monaco, launched in 2011, and he has seen his firm grow dramatically. His main Paris office is now the top international office in Coldwell Banker. 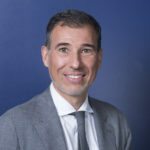 Laurent is one of Europe's luxury real estate experts and has worked on more than 5,000 transactions over the last 20 years having successfully grown a family business started by his grandfather in the 1920s. He is ever present on social media, a featured international speaker and earned acclaim as a winner of Coldwell Banker's top award, the Chandler Barton Spirit Award. He strongly believes the internationalization of large companies has paved the way for a truly global real estate market. He has Master degrees from Sciences Po and Paris Dauphine Universities, and an MBA from Oxford University. Russia takes the 16 spot on the list of countries with the most millionaires at 152,000. Its wealth is extremely concentrated, which means that those who are rich are very rich. I had a meeting with a Russian. I admit it. In fact, I had several meetings with Russians. And the meetings have even occurred in Moscow! I thought that might get your attention. But please understand that there was nothing sneaky here, and you do not need to tell CNN.